Broken Hill, Australia… was the backbone of the country during two world wars producing ingredients for materials, employment, memories and lifetimes for many… Now a stark but beautiful place to visit, the best steak in the country, and home of Priscilla Queen of the Desert… and NOT where you want your hard drive to pack it in. 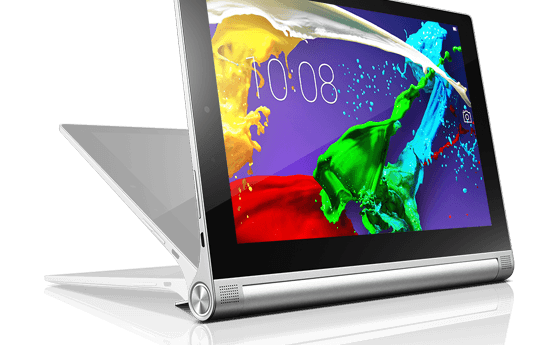 A quick trip down to the friendly folk at Harvey Norman, and I’m walking away with something I would normally have not considered.. a cheap Android tablet – the Lenovo Yoga Tablet 2. Though these end of line models are now no longer in general availability, Lenovo have continued making Yoga Tablets, boasting more features including an impressive built in mini Projector… drool… I wouldn’t normally recommend an Android tablet, but for a business PC this thing rocks. Up to 18 hour battery life, 1920×1200 full HD 10 inch screen, Dolby Audio, and delicious versatile stand. I can do 95% of what I’d normally do on my Surface Pro on this thing. The exception being running Windows apps, like the new kid on the block in Data Discovery, Microsoft’s funky Power BI Desktop. Now there are apps rumoured to be coming out on the Android app store in the near future, like “Wine”, which may allow Data Discoverers to run powerful Windows apps like Power BI Desktop on these tiny but capable Android tablets. Windows Azure RemoteApps looked promising for a bit, allowing you to deploy thin apps, but Power BI is not available. The App on the Android app store is great but designed for viewing and alert notifications not designing models and reports. You won’t even be able to install the mobile version from the App Store. You could even login to your free Power BI cloud portal and build reports, though you can’t design models and build calculations in the cloud. So the alternative to run Power BI Desktop on Android tablets right now is to create a virtual machine in Azure, install Power BI desktop there and access the workstation via Android’s lovely “RD Client” Remote Desktop App. 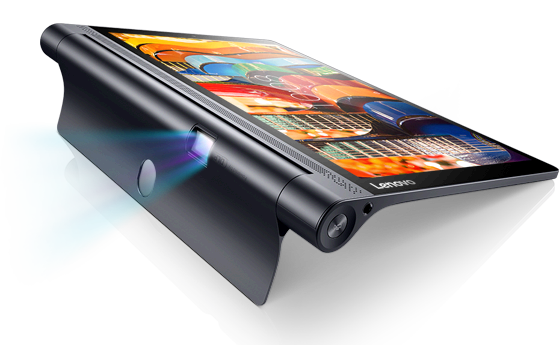 So if you like the thought of running around with an 18 hour battery life do anything device, with built in Projector, contact Rob at RDP IT to order the lovely Lenovo Yoga Tablet 3 and Accessories you can’t live without.